Our team was honored to have been invited to participate in the International Foodservice Editorial Council (IFEC) Land of 10,000 Tastes Chef Showcase. 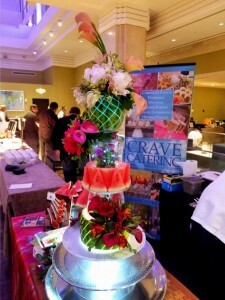 The icing on the (watermelon) cake? 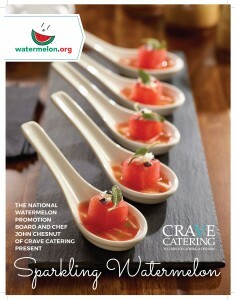 Being able to partner with the National Watermelon Promotion Board to create a savory watermelon inspired dish! The result? A carbonated watermelon with herbs, pickled watermelon rhine, and added ash salt to give the appearance of seeds, displayed in a cake made from watermelon! Call us at 952.562.5620 or fill out our form below. Our catering experts will be in touch!